Revital Rattenbach, our CEO, will be attending the upcoming Human Biotech & Animal Health Business Partnering Summit in Boston, April 9th 2019. Contact us to schedule a meeting and discuss future collaborations. 4P-Pharma team wishes you a happy holidays season. We believe that with hard work, imagination and a strong team spirit everything is achievable, and the dream that you were pursuing becomes right there for you to grab! 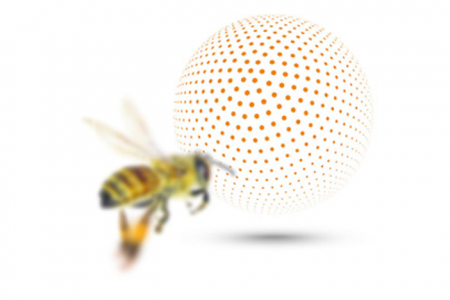 Our collaboration with Elsevier’s The Hive program continues with a new blog post entry! In our previous blog post we detailed how Elsevier’s suite of R&D solutions have been helping us in boosting our Research (Read it here). This time we focus on our business model of partnerships and co-development to detect and develop promising technologies in the field of cancer and inflammatory diseases. Les 4 et 5 octobre derniers se tenait au Palais Brogniart l’édition 2018 de Parcours France, l’événement incontournable de l’économie et business en régions. It is with great sadness that we learned the untimely death of Dr. Yoram Sela on September 26 2018. The 4P-Pharma team extends its deepest sympathies and condolences to his brother Dr. I. Lamensdorf, Dr. Sela’s family and friends. Dr. Sela will be remembered as a tireless innovative mind, a seasoned scientist and recognized expert with a unique sense of humor and wit. Our company has benefited from his vast experience and knowledge. One of his and Dr. Lamensdorf inventions is at the core of a linchpin project of our company, and we are thankful for that. We are very proud and excited to be a member of Elsevier’s “The Hive”!